These are the two most popular potential “enemies” of ultra marathon runners in the country. On the roads, the famous street dogs or what we fondly call as “askals” (Asong Kalye) are the number one “attackers” of runners. These dogs usually bark and run after you on daytime or nighttime. If you are not alert and don’t do some immediate measures to thwart their attack, most likely they will bite your legs. I had been a victim of a dog bite when I was running at nighttime during one of my adventure runs in San Narciso, Zambales. I am glad I was using a calf sleeve that the bite did not puncture my calf muscle. It was a wound and scratch but I still need to have the dog bite treated immediately. I cancelled my run and went back to Manila for the much-needed medical attention on the next day. On the mountain trails, the snakes are the most popular creature that you can see crossing your path or even meeting you head-on while one is running. They are even seen hibernating on the branches of big trees in the forest. As always, whenever I go on my daily trail runs, I always see a snake at least once a week or the most, two times a week crossing a few meters in front of me. However, my latest encounter was a snake that was coming head-on directly to my legs! I had to immediately jump from the trail and stopped. The snake’s body diameter could be at least 1 1/2 inches, about one meter long and it is colored black. I am not sure what kind of snake it was but I was glad it did not bite my leg. Since the time I’ve been bitten by a dog, I stopped using my iPod and headphone. I became smarter in dealing with astray dogs along the streets that I have to stop, walk and try to avoid getting nearer to a dog few meters before the location of the dog. I also prepare to hold my water bottle and be able throw it to the dog if there is imminent act of attack or just simply pick up a stone on the side of the road. Treatment on dog bites are very expensive but they are also readily available in hospitals and famous drugstores. You need injections for anti-rabies and anti-infection and such injections are being administered on scheduled dates or interval of days. There are also vaccines that would prevent one from being infected by rabies. I may not be superstitious but I usually consider my encounters with snakes as my “lucky” moments. And most of the time, I regard the snakes as the “gods” that guard the mountains and the nature thereat. 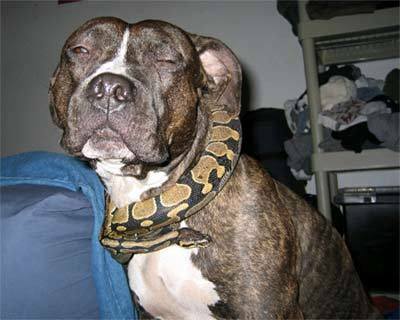 So, if I see a snake crossing or heading to my direction, I don’t have the intention of catching it or playing with it. These creatures deserve some respect from us. Dogs are considered as the men’s/women’s best friends and snakes are mysterious and beautiful but when you are in the outdoors always stay alert and show some respect to these creatures.